• strategic plans which humans implement consciously, haphazardly, methodically, unconsciously for happiness, health, security, stability. • systems of interrelated built, natural, social environments with closed loops, limiting factors, recirculated by-products, self-regulated maintenance. 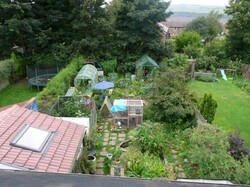 A well-designed permaculture system features little effort in maintenance. watershed bioregions of groundwater, springs, stormwater. 142-page chapter on the permaculture systems of conserving energy, improving soil-fertilizing nutrients and tilth, minimizing waste, perfecting shelters, promoting diversity, protecting wildlife, sustaining plants. Deck of 52 poker size playing cards themed to show rich diversity of permaculture, such as Honey Bee design for 6 of Diamonds which gives techniques accounting for permaculture beekeepers' rare loss of hives to Colony Collapse Disorder (CCD). woody perennials: pigeon pea, prickly pear cactus, trailing silky-leaf woodwaxen. It has hardiness, lighting, and water tolerances. It includes dimensions, landscaping, and serviceability. The idea behind permaculture is simple: take care of the earth, and the earth will take care of you. Filled with real-life examples from all over the world, this invaluable resource gives guidance in turning land into sustainable ecosystems. social spheres through clusters, collaboration, cooperation, integration. 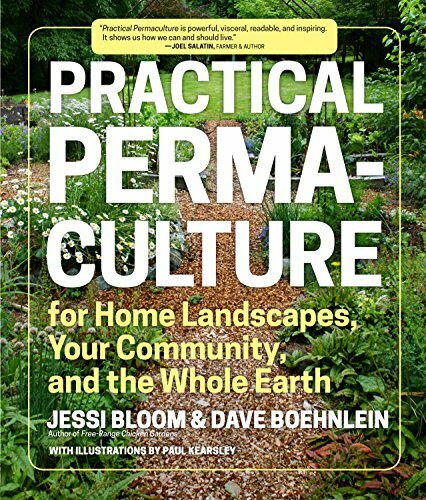 So designers/educators Jessi Bloom, Dave Boehnlein, and Paul Kearsley make easy-to-comprehend, east-to-implement Practical Permaculture a culturally enriching, educationally entertaining, geo-historically enthralling experience. 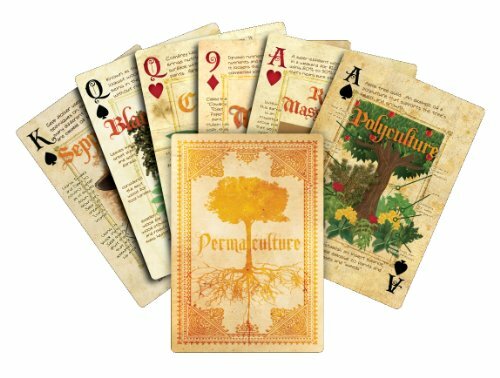 Permaculture Skills: A Cold-Climate, Applied Permaculture Design Course (4-DVD set) ~ Available now via Amazon ~ 5 out of 5 stars with 4 customer reviews: "If you love permaculture this needs to be in your library." Filmed entirely on location in beautiful hills of central Vermont, educational documentary joins students learning to become permaculture designers and practitioners during applied, 10-day Permaculture Design Course hosted by Whole Systems Design LLC. Bloom, Jessi; and Boehnlein, Dave. 2015. 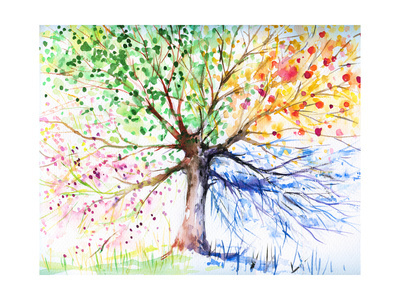 Practical Permaculture for Home Landscapes, Your Community, and the Whole Earth. Portland, OR, U.S.A.; and London, England, U.K.: Timber Press. 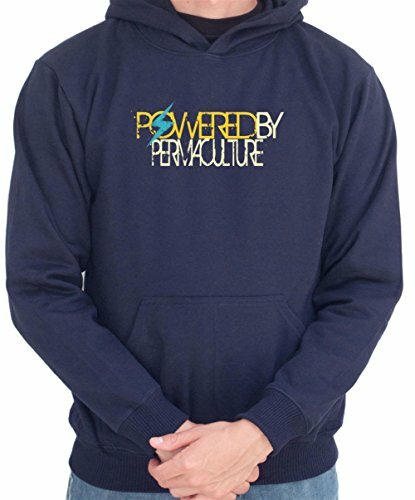 After taking course from Patrick Whitefield (February 11, 1949 – February 27, 2015), pioneer permaculturist, Claire purchased 3-acre field on edge of Sheffield, where she lives, to start community permaculture project. 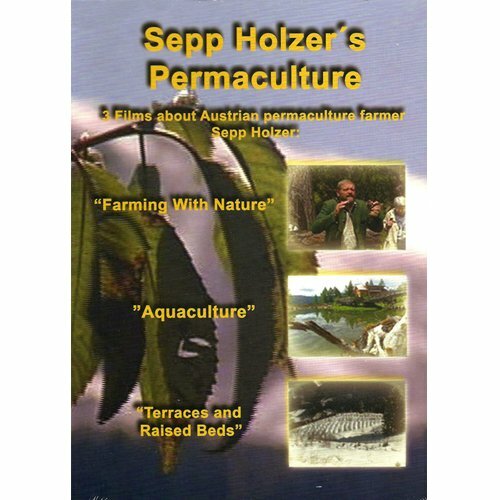 Sepp Holzer's Permaculture: 3 Films About Permaculture Farming ~ Available now via Amazon ~ Fascinating vignettes of pioneer permaculturist Sepp Holzer's successful, natural techniques! Austrian Sepp Holzer built one of the largest permaculture farms in Europe. DVD contains all 3 films on "Agro-Rebel" Sepp Holzer (born July 24, 1942), whose successful techniques are based on listening to and observing nature. Permaculture acknowledges importance of trees with inclusion in first 2 (canopy; understory) of standard 7-layered permaculture system. NanciArvizu, Thank! Me too, I like the attractive, convenient, logical organization of permaculture's space. The Bloom and Boehnlein book is a one-stop shop, time-saving merger of helpful images and information. Great article, information and inspiration. I love the garden plan, and especially the picture of the gardener yard surrounded by the non-Gardner yard. A hidden gem. sandyspider, I like the plan, too. It's not that difficult and it's particularly fun when all or most of the neighborhood turns it into a community-wide plan. I do like this plan for gardening. frankbeswick, Thank you! Looks like metal-detecting on the Wash won't be high on my list of treasure hunts ;-D! If there were any remaining treasure it would be claimed by the crown. Hidden rooms would imply stone buildings, such as abbeys,castles and churches. The castles are generally in ruins and the abbeys are gone, so there are not many places left. CruiseReady, This book is excellent in examples and explanations as well as illustrations and images. It's sturdy since it survives my moving it on and off the shelf many times throughout the month. Zones 0 - 2/3 can work on not that much land. It's putting into effect Zones 3/4 onward that may be tricky, but not if neighbors are involved. frankbeswick, Melted down undoubtedly means that it cannot be traced. But I wonder if some of that treasure remained as is to be admired by a few any time they were feeling particularly ornery against Normans and Plantagenets. Is it possible that there are hidden rooms -- as during the Armada -- or underground tunnels -- as in "Skyfall" ;-] -- where treasures could be hidden for almost 1,000 years now? This would sure be a nice plan to follow if you have a bit of land. There is no record of the treasure's having been found, but considering that the Anglo-Saxons responded to the Norman conquest with a plague of theft from their masters, it is well possible that some enterprising Englishman found and took the treasure,melted it down and none were the wiser.